Determining accurate prices for commercial real estate can be elusive. It’s not what economist call a highly competitive market such as buying a stock or a bond where the bid (highest price for buyer) and ask (lowest price for seller) is actively visible for all to see. Market prices for commercial real estate can be vastly different from appraisal valuations and can vary widely by property type, location and tenant. The unpredictability of determining a price means that the person with the most knowledge makes the best decision and capitalizes on the opportunity that others may not recognize. This article researches the commercial property markets in Louisiana and Mississippi to provide the knowledge with which you can make better commercial real estate decisions. 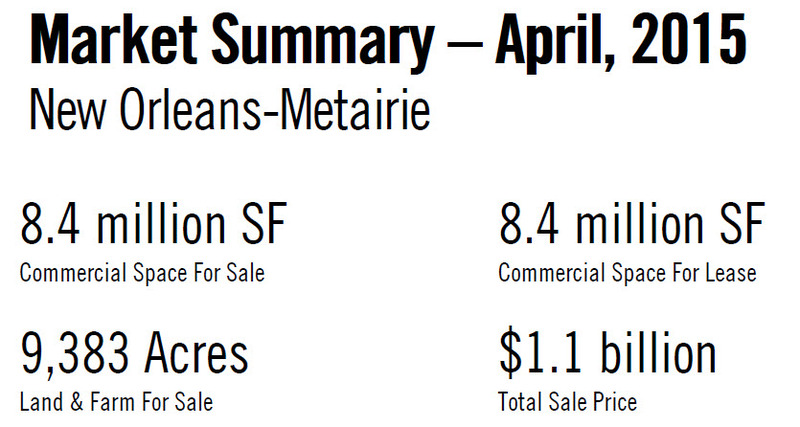 For $4.2 billion, you can buy all the listed commercial property in Louisiana. 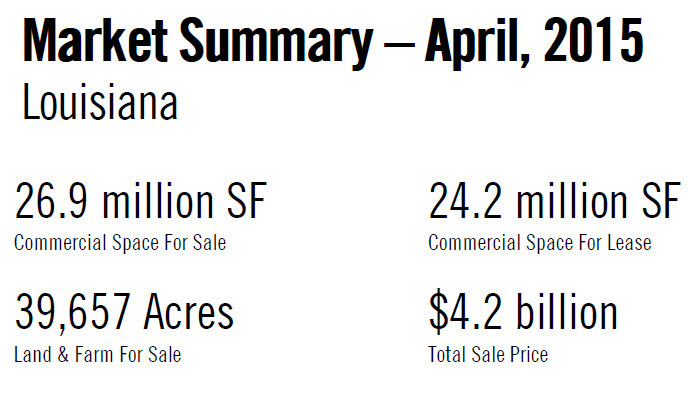 There are 26.9 million square feet for sale and 24.2 million for lease. There are 8 sectors of commercial property, shown below. The time it takes to sell or lease most of these 8 types of property is longer than the gestation period of most animals, ranging from 144 to 596 days. Only Apartments and Retail property can be leased or sold faster than it takes to give birth to a human. Average prices for space for lease and for sale are listed in the table below. The tightest sector is recognized by how close to the list price the transaction takes place. With 700 transactions, Shopping Centers rank the highest demand, having an average transaction at only 6.9% below their list price, followed by 2,493 transactions in the Office sector averaging only 10% below list, land at 15%, Industrial at 16% and in last place is the Retail market that averages a transaction 20% below list. 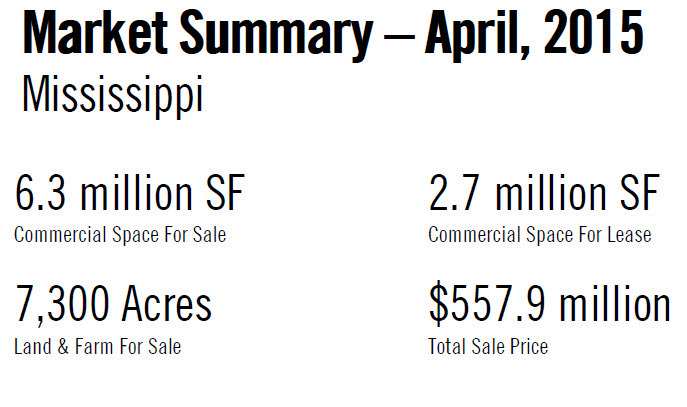 Louisiana is 4 times the Mississippi market size in property for sale, and 9 times the size in property for lease. The average lease rate in Louisiana is only 10 to 20 percent higher than in Mississippi, but the average sale price in every significant sector is 30 to 100 percent higher. This is due to the more vibrant economy and demographics which drive commercial property to produce more income and therefore hold more value. 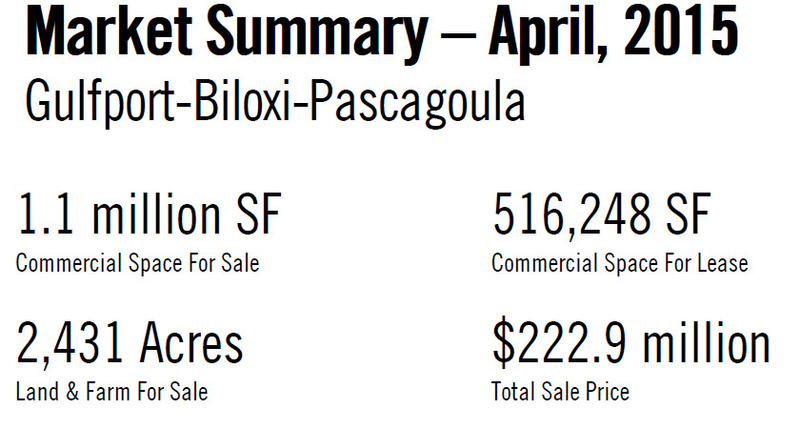 For example, Industrial sale prices average $34 per square foot in Louisiana compared to $15 PSF in Mississippi, and Office property averages $80 PSF compared to $63 PSF, Retail averages $94 PSF compared to only $48 PSF, and Shopping Centers average $88 PSF compared to $43 PSF. We examine a city’s MSA, which is the Metropolitan Statistical Area, designated by the Census Bureau and defined by the Office of Management and Budget as an area with a high degree of social and economic integration . 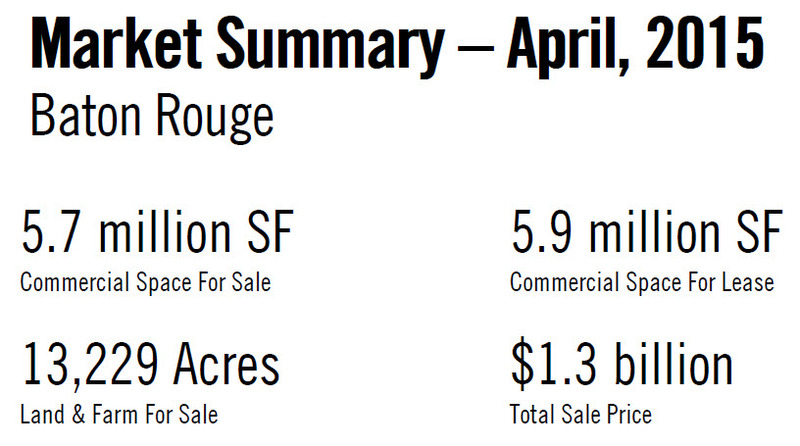 New Orleans MSA is the larger market measured by square feet for sale, with 8.4 million vs. 5.7 million in Baton Rouge, but Baton Rouge is the larger market by total sale price with $1.3 billion vs. $1.1 billion. New Orleans has more properties on the market than Baton Rouge in every significant sector. Office and Industrial sector lease and sale prices are very close in both cities, but 371 transactions in Retail averaged a 46 percent higher price in Baton Rouge while 261 Shopping Center transactions occurred at an average 25 percent lower. Since there were hundreds of transactions, the price data cannot be skewed by outliers. Who would have thought Gulfport even had an MSA. The market is about 13 percent of the size of New Orleans, as measured by square footage for sale and 6 percent of the market size as measured by lease space. Prices per square foot are within 10 percent of the New Orleans market for the Industrial, Office and Retail sectors, but average 57 percent of the Shopping Center lease price. Sale prices are 20 percent higher for Industrial due to a shortage in supply, but Retail and Office sale prices average 10 to 20 percent lower. Now that we have the average sale and lease prices of the various sectors in major markets in both Louisiana and Mississippi, where is the opportunity? If you own properties in several cities, it is called arbitrage, but the average person must look for areas and sectors where prices are simply out of sync. You might think Shopping Centers in Baton Rouge are a steal at a sale price 26 percent less than in New Orleans, but lease rates are 26 percent less also. That’s no coincidence. Office property in Baton Rouge is a bargain compared to New Orleans; even though lease rates are 3 percent less, sale prices are 14 percent less. The real bargain is Retail in New Orleans which has 12 percent higher lease rates than Baton Rouge but sale prices averaging 32 percent less.